Identity can be explored, questioned and translated into an aesthetic language or form. For this project, an individual wardrobe serves as a “database”. Each piece of clothing is disrobed, photographed and analogously converted into an icon that constitutes the starting point of a new pattern development process. 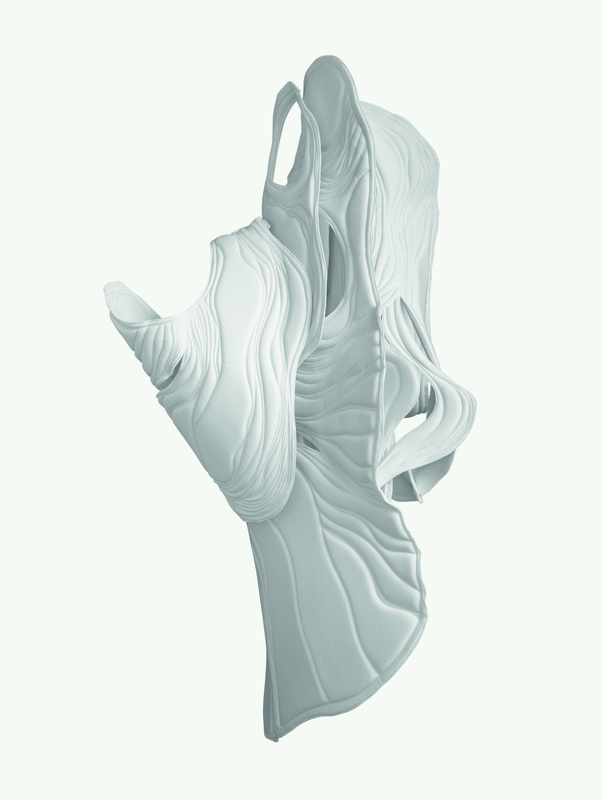 At a first glimpse the resulting sculptural objects look like clean digitally developed objects. The fact that everything is developed within an analogue process values craftsmanship and traditional production methods in a digitalized world. Furthermore, external and internal data sharing and profiling on the Internet are critically examined.